THE husband who brutally attacked his wife and her lover with a tyre lever is not violent and remains a close friend, his spouse said today. 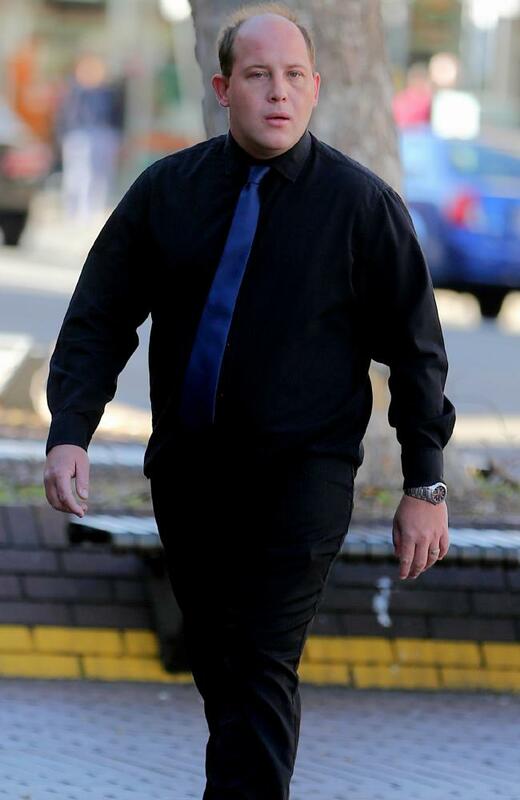 Robert Andrew Mann, 30, was yesterday sentenced to 12 months in jail for his vicious assault on Jaimi-Lee Atkinson, 26, and her then-boyfriend Jeremy Sampson. He had tracked them from the couple’s Tamworth home to Sydney using the Find My iPhone app. 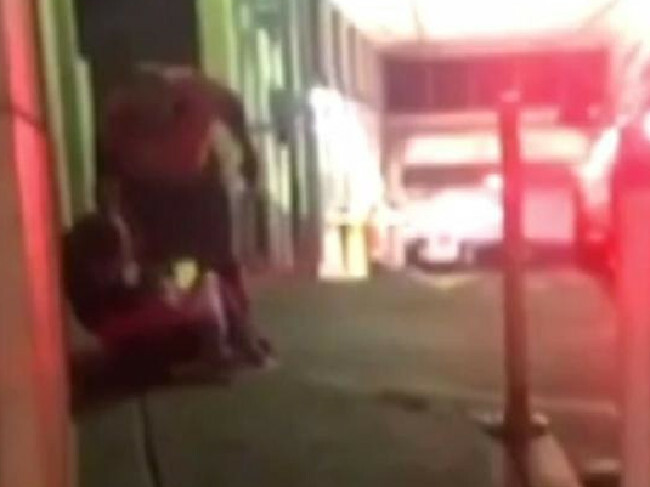 Terrifying footage of the June attack shows Mann, armed with a steel rod, dragging a screaming Ms Atkinson out of a vehicle in a Parramatta car park before she runs away. He then leaned into the car and punched Mr Sampson up to 30 times, before returning his attention to his partner of 13 years. Ms Atkinson can be heard begging bystanders to call the police. 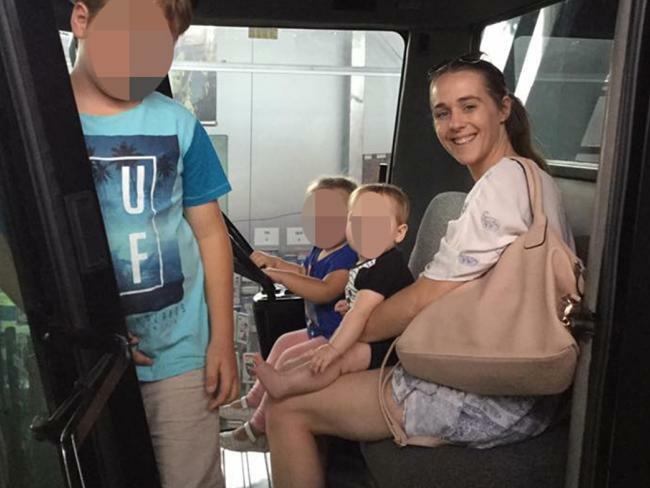 The mother of five accompanied Mann to court, where he pleaded guilty on two counts of assault occasioning actual bodily harm, one count of intentionally destroying/damaging property and one count of driving on a suspended licence. Ms Atkinson today told news.com.au: “Me and my ex are only friends. We will remain close friends. I’ve spent the majority of my life with him. “Our marriage is over, too much has been done to repair our marriage, but for our children, the stuff that’s happened in our marriage isn’t their fault. We need to be there for them. She said reports at the time that there was an AVO (apprehended violence order) in place were inaccurate. “There was no domestic violence, no police involved. Robert was never an abusive partner or husband. “What happened that night was a one-off thing, we had a lot of personal issues leading up to what happened that night, and it just got to the point where something happened he regrets a lot. I regret what happened leading up to that. “I had a miscarriage, he was working away from home, long hours … I was basically doing it by myself. He was only home one or two days a week and when he was home, he was sleeping. It put a lot of pressure on our marriage. “I’ve suffered, he’s suffered, our children have suffered from what’s been in the media. We’ve basically been shamed in public for what happened. My children have been bullied at school. She and Mr Sampson were treated by paramedics after the attack before being taken to hospital. Police alleged that when officers later approached Mann, from Wee Waa northern NSW, they were verbally threatened and had to use a taser. Ms Atkinson continued: “I haven’t been the best wife, I was being unfaithful to my husband. I was having an affair. There was three of us at fault … we’re all sorry for what happened that was publicised and people had to see that. Robert’s very sorry about what happened. “My main priority now is my children and trying to deal with our personal things. It’s hard on them with their parents separating, without the news talking about all this. “My son’s going to football training and people are talking about it. The kids knowing Robert, he was never like that … Robert’s not known as a violent person … that stuff never happened. Ms Atkinson said her husband, from whom she is now separated, regularly sees their five children, who are aged between 10 and just under a year old. He lost his job in the cotton industry after the attack. 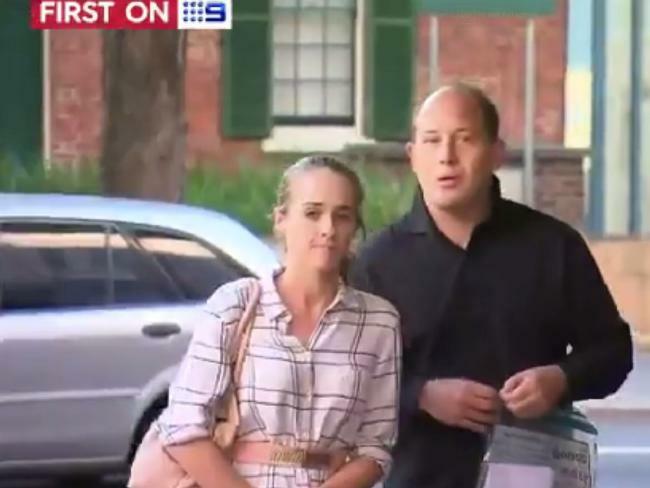 After pleading guilty to four charges, Mann was sentenced to 12 months’ jail, with a non-parole period of six months, disqualified from driving for two years and fined $300, Nine News reported. Mann walked free after lodging an immediate appeal and will return to court next month. Call 1800 RESPECT (1800 737 732) if you or someone you know needs help.